Spruce trees are large evergreens that reach up to 100 feet high when mature, with a 30- to 35-foot spread. Landscapers favor these majestic, hardy trees because they are disease resistant and stand out in any landscape, enhancing interest and attracting attention. Your spruce tree may have to be transplanted to another spot or to a new location altogether. With careful planning and some preparation, this task can be properly executed to prevent the tree from going into transplant shock. Select a new spot for the tree with the same characteristics as the previous one. Make sure it gets adequate sunlight, up to six hours a day, and has well-drained soil. Prepare the planting site before transplanting to prevent your spruce tree from spending too much time out of the soil. Measure the width of the trunk. Provide about 5 inches of soil depth for every inch of trunk width. Dig the hole with a shovel and collect the dirt in a wheelbarrow. Remove plant debris and stones from the holes. Tamp the base of the hole to make it even. Mix equal parts of collected soil, compost and a quality potting soil in a bucket to provide the spruce tree nutrient-dense soil so it can thrive its new location. Push a shovel as deep into the soil as possible, about 1 foot from the trunk of the tree, and remove the soil to expose the roots. Continue digging a trench to expose as many roots as possible. Cut some of the longer roots to loosen the tree from the soil. Slide a shovel under the root ball and lift it carefully. Check the size of the root ball and make any necessary adjustments in the size of the new planting hole. Lower the root ball carefully into the hole, positioning the root ball in the center. Backfill with the prepared soil and tamp it down. Water the area with a garden hose gently, and cover the site with a 1-½ to 2-inch layer of mulch. Fill the planting hole with water as soon as you dig it in the new location and allow it to drain so that the dirt settles in place. 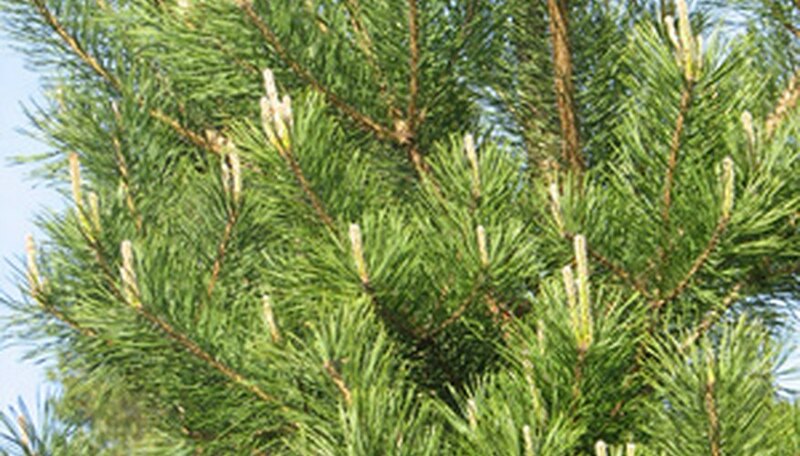 Trim the tree before transplanting so that it is lighter and easier to move. Keep the size of the tree in mind when selecting the spot, so there is no fence, wall or tree near it . The tree needs an open space to spread and grow.